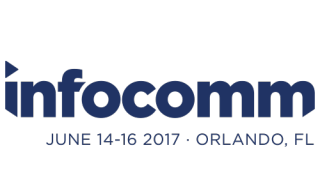 InfoComm International will debut Center Stage at InfoComm 2017, June 14–16 at the Orange County Convention Center in Orlando, FL. Center Stage will host a series of conversations among leading technology practitioners, users, researchers, and thinkers. These experts come from diverse fields that use AV technology to extend human capabilities. Center Stage will be located in Hall B of the Orange County Convention Center and is free to attend. There will be 25 sessions during the course of the three-day trade show, each lasting about 20 minutes. Select presentations will be recorded and shown throughout the day, with audio from Hearing Hotspot by Williams Sound. More speakers will be added to the Center Stage lineup. Check infocommshow.org/centerstage for the latest news.